Bartsch is a decorative painting workshop specializing in children’s rooms. This company from Paris, France, was founded by cousins Gala and Nicolas. They have combined their skills to create collections of chic and playful patterns in their Parisian workshop. Bartsch, whose name comes from their great-grandfather, is the result of the relationship between graphic design and decorative painting. 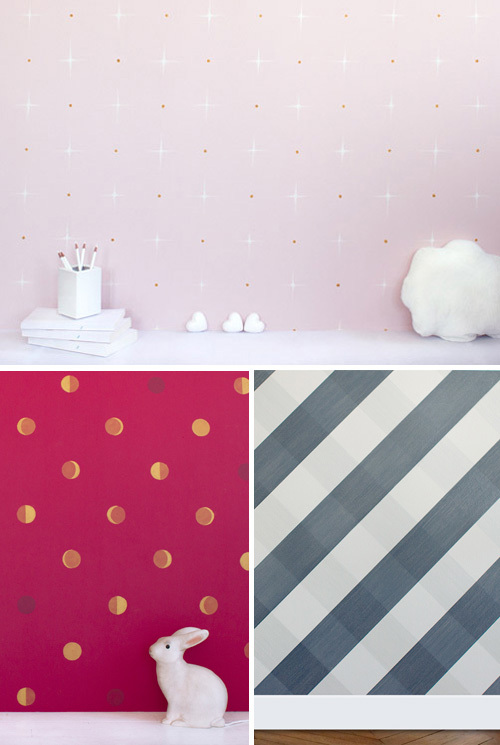 Bartsch brings back into fashion the French tradition of decorative painting by imagining collections for children, with modern patterns and colors. Special care is devoted to the quality of materials, the color palette and the use of traditional craftsmanship to create a durable and elegant result. Designs from the Bartsch catalogue are adapted to each space, depending on its size, light and spirit. 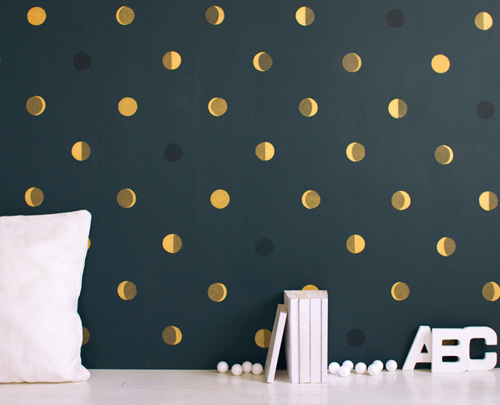 Each pattern is hand-painted directly on the wall. ou can see the gesture and the brush strokes; you can feel the texture of the material. You will never find the same pattern or the same texture twice. Each wall is absolutely unique. More information can be found on Bartsch’s website. 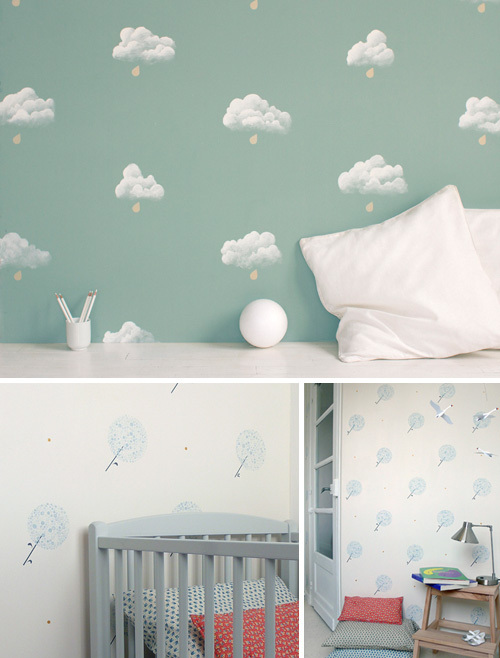 Some gorgeous wall paper designs, that would look brilliant in any childrens room. The wallpaper designs are great! The eclipse one is really creative! I almost thought they were polka dots!